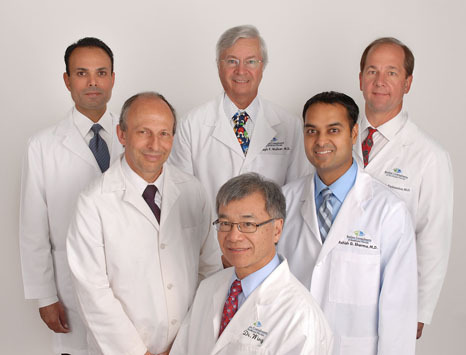 Retina Consultants of Southwest Florida® is the region’s most experienced team of retina specialists with over 100 years of combined experience. Their goal is simple, to help you see your best by preserving your precious eyesight. Founded in 1980, Retina Consultants of Southwest Florida has a history of caring that is deeply imbedded in the Southwest Florida community. Their dedication to patients and referring doctors is not only the reason their practice is so highly respected in the community, but has enabled their practices to open offices in Fort Myers, cape Coral, Bonita Springs, Naples, and Port Charlotte. Additionally, all six of the physicians affiliated with Retina Consultants of Southwest Florida appear on the Best Doctors in America® List for 2013. Only five percent of doctors in America earn this prestigious honor, decided by impartial peer review. Their new website is full of information about diseases of the retina and vitreous, and contains many short informative videos that will educate you about your eye health. A main focus of Retina Consultants of Southwest Florida® is Age-Related Macular Degeneration (AMD), the leading cause of irreversible visual impairment and blindness among Americans 60 and older. If you are experiencing vision problems, please visit the new Retina Consultants of Southwest Florida® website at www.eye.md and review the information found on their website. If you think the information pertains to you schedule an appointment by calling their office at (239) 939-4323 or (800) 282-8281.